10 white LEDs provide maximum illumination for outside the cockpit, while three red LEDs preserve night vision in the cockpit. Still too bright? Switch on the one red LED for just the right amount of light for viewing charts and flight plans without disturbing sleeping passengers. Measures 6 1/2” long. Operates on three AAA batteries (included) and also includes deluxe nylon holster with extra battery storage compartment. The case with an extra battery pocket is a great feature. Really nice and handy. My handy light. Not getting rid of it. Thanks. This is just what my husband was looking for flying in his new (to him) Cessna 182 at night! Looks and appears to be of high quality. Difficult to rate honestly until it's been used a few times however. I prefer a white flashlight for outside the cockpit use at night for preflights, oil and fuel sampling. Inside the cockpit; the red light provides ample illumination while also protecting critical night vision. This is a well-made all-in-one professional tool. Perfect for the ramp, cockpit, car, and anyplace else where you don't want night vision impaired. I use mine in an observatory. The carrying case is great and provides a place for spare batteries. 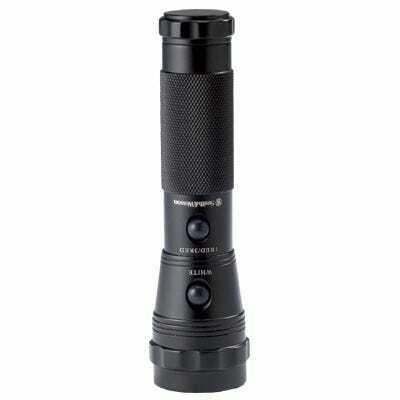 Well constructed flashlight with great illumination on all settings. I haven’t tested it yet on an actual night flight, but I’m confident it will perform up to expectations when I get the opportunity. The product was as I expected. A little large but easy to handle in the cockpit. I would recommend it. Good piece of equipment for the cockpit. Just check the batteries on a regular basis and don't let them corrode like I did. If that happens its almost impossible to get the battery case out. Other wise, great product. how many lumens does it has? BEST ANSWER: Not sure of the lumens, but the white is bright enough for pitch black preflight while the dual red modes work well for cockpit environments. Excellent product. 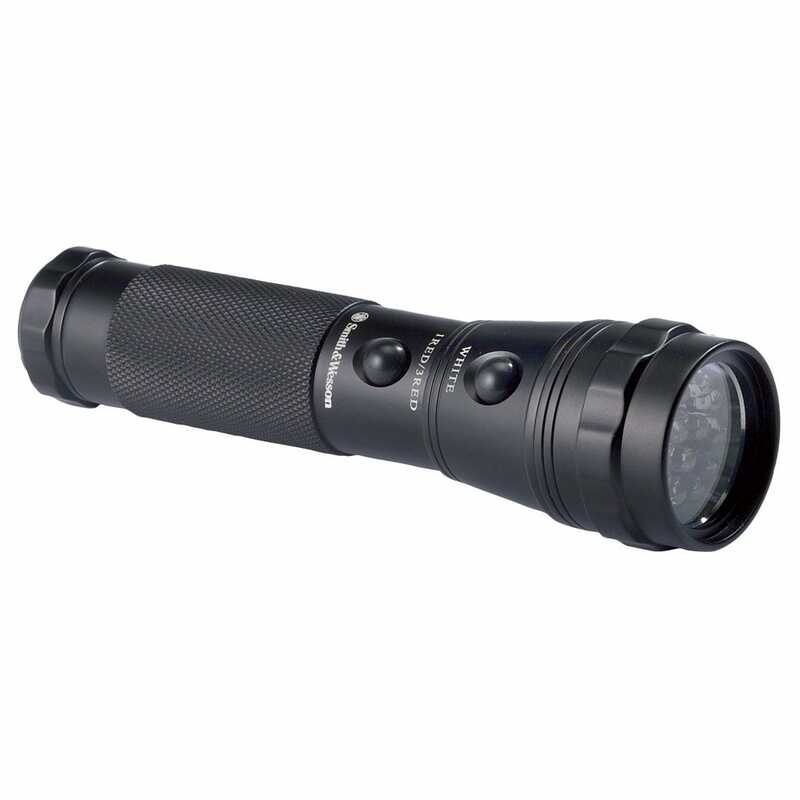 The variable light selection make the flashlight very versatile. I have it with me every time I fly. I am training as a First Officer, not a Captain. 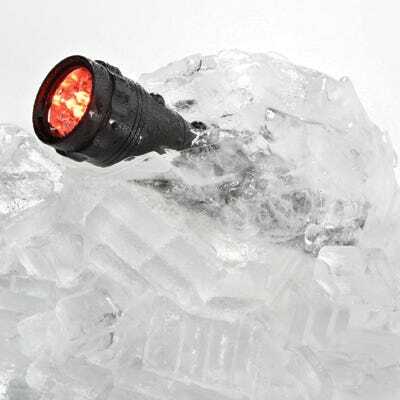 Can I use this flashlight? does this flashlight have any way to attach a tether? BEST ANSWER: The S&W Captain's flashlight does indeed have two small holes on a flange of the end cap, for attaching some sort of lanyard or tether. You cannot see the holes in the photos; they measure around 2mm x 4mm each (oblong), spaced about 7 mm apart center to center. yes. two small slots are on the end cap. the slots are just large enough for a string. I don't think so but I gave it as a gift so I don't have it. BEST ANSWER: Just the flashlight itself, with 3 batteries installed, weighs 7 oz. The flashlight in its case, with 3 spare batteries in the pouch, weighs 9.5 oz. total. What are the dimensions of the flashlight with thickness of the handle? 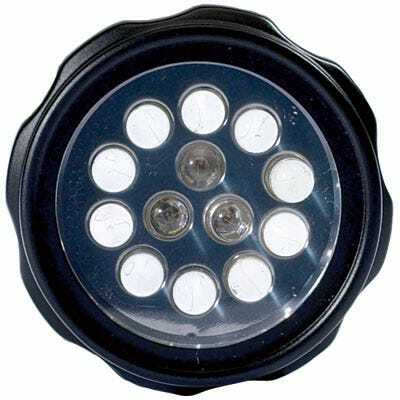 BEST ANSWER: The flashlight is 6 1/2" long and approximately 1" in diameter. Is this flashlight 2-D cell? BEST ANSWER: The battery cap is gasketed and the switches have rubber boots, so the flashlight is certainly water-resistant. 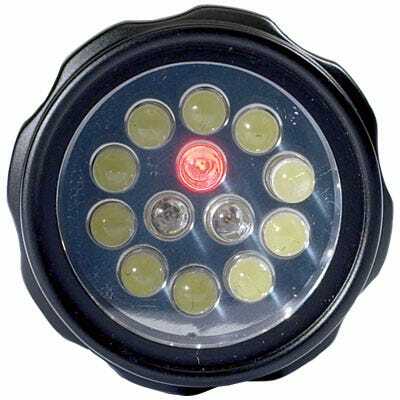 The front lens is made of a relatively thin plastic, so I do not believe that the light is intended for use underwater, or as a dive light! How is this different than the S&W Galaxy 13? BEST ANSWER: The main difference is that it features a 1 red LED mode. We find the 3 red LEDs to be too bright in the cockpit most of the time, so this lets you select 1 or 3.